sell online with over 1M+ traic all over the world. Brand awareness, preference & loyalty - a number of existing Gym Apparel Brand companies (competitors) that offer similar product. We did careful analysis with their on-going campaigns and come out with better identifications. With Strong LiftWear customer database and traffic, we created a very lean campaign structure (using different approaches from their on-going campaigns) to reach out for the audiences. properly on the landing page/website. Previously, there is no custom audience list created/utilised. Custom audience is one of the most useful/converting targeting for businesses especially for e-commerce. We have created a number of custom audience lists using our strategy. Above is a screenshot of a small number of lists created. Build custom audiences from the people that visit SLW website. Create lists of Visitors of Website, Buyers, Non-buyers etc. We also created lookalike lists based on the performing custom audience lists sources. I.e. 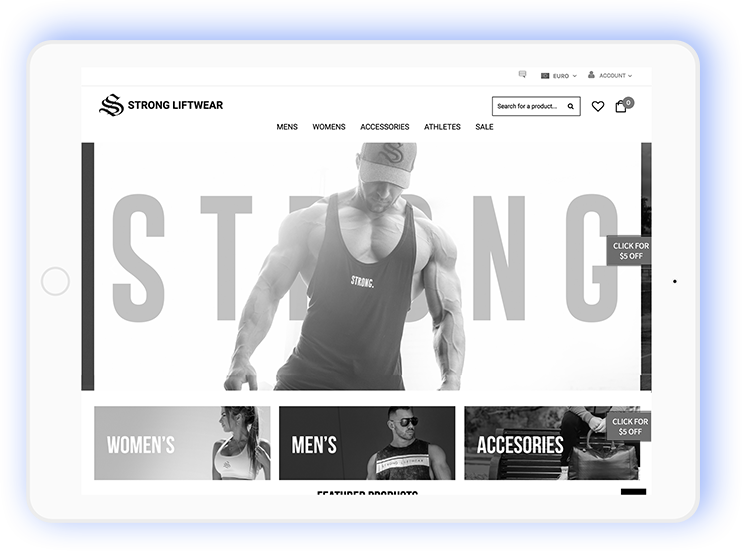 for SLW (Gym apparel related products/lifestyle), we created a list of interests such as Gym, Fitness influencers, Competitors, Supplement, Fitness trackers etc. • Created separate/individual campaigns based on their specific goal, needs and target groups. • For screenshot above, is example of ‘sales’ campaigns that we have created for SLW that was running for few days. Split ad into Gender,Products, Retargeting/Non, Countries etc By doing this, we are to able test run, optimize and make wiser decisions i.e. which campaign/ad targeting/structure works better and the best. Different ad set/targeting may vary from each other in term of performance. By doing this, we are to able test run, optimize and make wiser decisions i.e. which campaign/ad targeting/structure works better and the best. Different ad set/targeting may vary from each other in term of performance. Constantly switching out ads and do testing from single image, carousel, video ads etc. By doing this, we are to able test run, optimize and make wiser decisions i.e. which ads are more effective. We want the ads displayed to the targeted groups to be highly relevant. This will not only increase the brand awareness (comment, share, likes) but also contribute to the conversions. better, could be contributed by the clicks & CTR. Created our own Facebook Ad structure that helps keep CPA lower and ROI always in the picture. Managed to lowered down the CPA (at CPA $8.89), initially at CPA $17.42 (ran by client) during the first month. Managed to increased/expand conversions by 45% on the second month. Throughout the activation of our campaigns, we are able to maintain the CPA within/lower than client’s desired figures.